This recipe is inspired by the region of Emilia-Romagna in Italy. Reserve 1/2 cup cheese for later use. Combine remaining cheese with all remaining ingredients. Spoon into 2-L casserole dish sprayed with cooking spray; cover. Bake 25 min. Sprinkle with reserved cheese; bake 5 min. or until melted. 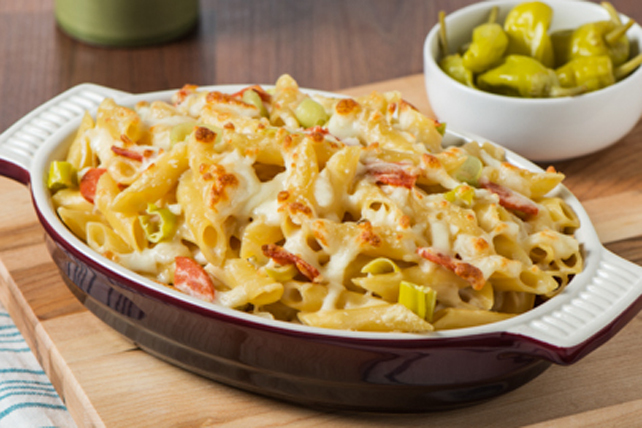 Prepare using Cracker Barrel Shredded 4 Cheese Italiano Cheese.